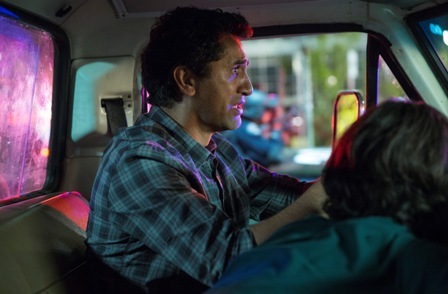 It’s hard to believe it, but we are already halfway through the first season of Fear the Walking Dead. I can’t say I’m totally in love with the show, but it is growing on me. It’s harder for this show to have the same forward momentum as The Walking Dead because we already know what is going to happen. The interesting part will be who makes it and if Fear the Walking Dead will make any direct connections to its predecessor. ”New” walkers: Unlike the walkers on The Walking Dead, most of these walkers don’t have body parts falling off. They are not made of rotting flesh like the ones who’ve been walking around for years now. Judging by the neighbor Susan, it doesn’t take long for them to start looking like the walkers we know and love. The power goes out: We know everything is going to shut down eventually, but that doesn’t make the lights going out in Los Angeles any less chilling. It’s one thing when there are hardly any people left, but quite another when the city is teaming with confused rioters, just as confused police, and flesh-eating zombies. Finally the show is getting scary. Travis takes out the garbage: The epitome of Travis’ (Cliff Curtis) denial. These people don’t really like each other: We’ve got a group of people who are stuck with each other, who don’t want to be, which will hopefully make for some good non-zombie conflict. In The Walking Dead not everyone necessarily likes each other, but they need each other and they know it. This group hasn’t gotten to that point yet. They’re stuck with each other and they resent it. They left the slider open: I really thought Madison (Kim Dickens) and Nick (Frank Dillane) were smarter than that. They alone seem to have accepted the situation for what it is, so what would make them do something so careless. “Mom, there’s someone in our house.” What did they think was going to happen? The dog: Did they really have to title this episode “the dog.” RIP brave German Shepherd. The tension level really went up with this episode, which is great. We also saw a lot happen with the escape from downtown, the walker home invasion, the neighbor, and the military showing up. I love that things are ramping up. My downside is that I don’t yet feel all that connected to these characters. Hopefully that will change as we start to see how they handle the downfall of society. I quite liked the episode. It was very reflective of a real social collapse. In an actual pandemic, youd have the sick, the people who take advantage of the world collapsing (rioters, most of whom are to dumb to last more than a few weeks), the people indenial of what is going on, hoping itll be fine again soon and lastly the people who grasp the situation and will step up to save their loved ones. I loved the scene where thw power went out and the skyscrapers went dark. It was very symbolic. It shows that our technology is fragile an can be took away in an instant. The modern world is built upon a sheet of glass, it can easily break. The military shows us things have already gone too far and the fact they are protecting the suburbs means its already over. Theyve lost the cities. They fell quicky. Now the infected will push out. The aeroplane in distress remined us there is no hope. Its global. The fact that our airlines werent shutbdown means every city on earth now is infected. Madison will be the strongest character in our main core group. She sees whats going on. Nick will too, Alicia will realise it in time. But Madison and nick are our main leads. Daniel will be the person to cause tension. He will want a brutal dictatorship like Rick created from season 3 onwards. But he wont get that just yet. 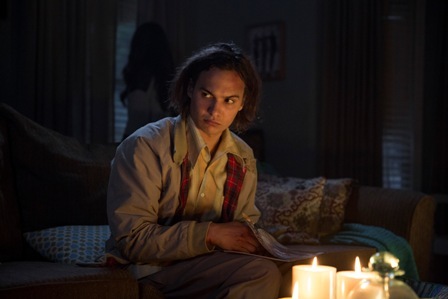 I see him playing out similarly in “Fear” as shane in TWD. Chris and Daniels wife are the most pointless characters so far. At least Alicia has attitude and balls (going back for the shells). Chris is too much like Travis. Characters who will live and why. Madison – Hard and to the point. Alicia – Has balls but needs to grow up. Daniel – He is a cool and strong individual in the group. Daniels daughter. Has her fathers intelligence. Knows big groups are better.